The Apple iPhone 6S will be unveiled on September 9! You are here: GeekSays Technology News » Apple » iPhone News » The Apple iPhone 6S will be unveiled on September 9! Finally, they did it. Today, Apple started sending media invites for their special event, scheduled for September 9 and taking place at the Bill Graham Civic Auditorium, in San Francisco. Of course, the main attraction will be the manufacturer’s new smartphone, the iPhone 6S, but it seems that these guys will have way more to show. Could this be Apple’s biggest event? The location is a very interesting pick, as it can host way more people – 7000 – than the regular venues used by Apple to host its events, the Yerba Buena Center or the Cupertino Flint Center. 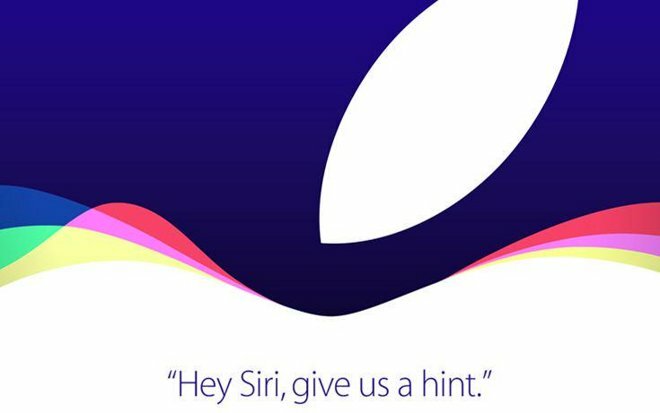 Using the tagline “Hey Siri, give us a hint.”, the invites are…well, hinting to the fact that Apple’s voice assistant will play a very important role in the launch event. According to Apple Insider, beside the iPhone 6S and 6S Plus, we might see the new Apple TV, with Siri integrated, and a redesigned controller, with a touchpad. But we’re way more interested in the smartphone, right? Right. One of the most interesting features of the new iPhone will definitely be Force Touch, the pressure-sensitive input method, already used by two of the company’s device, the Apple Watch and the new MacBook. Besides this, there have been a lot of rumors lately about the new iPhones will finally make the jump to 2 GB of RAM, alongside the Apple A9 processor. Also, the phone will be lighter, since the material used for manufacturing them will be a new aluminum alloy, containing zinc. Finally, both the iPhone 6S and 6S Plus could feature a 12 MP camera, able to shoot 4K videos, while the front-facing snapper is rumored to team up with a flash, for the ultimate selfie. Of course, we cannot forget about the new color option, rose gold, which will extend the portfolio to four models, alongside the space gray, white and gold. So, who’s planning to get the new iPhone 6S or 6S Plus, as soon as they’re going to make their debut?